This recipe is by far my favorite coleslaw recipe! Now I don’t know that I could eat coleslaw without blue cheese =). 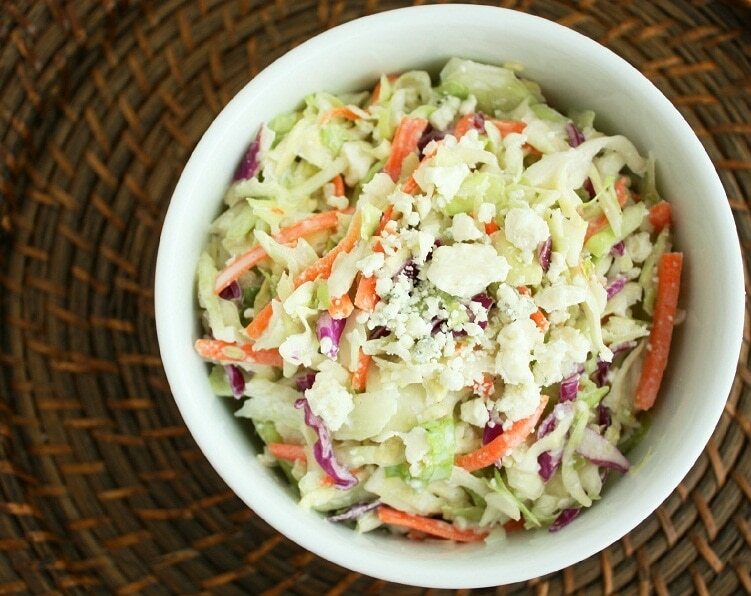 People who don’t even like blue cheese love this coleslaw. 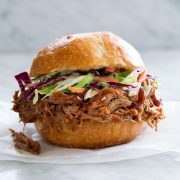 It is amazing served alongside or over Paula Deen’s Pulled Pork Sandwich. It is such a quick and easy salad/side. 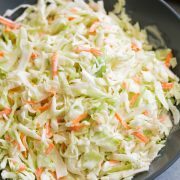 The flavors of this coleslaw are amazing! You won’t be disappointed. 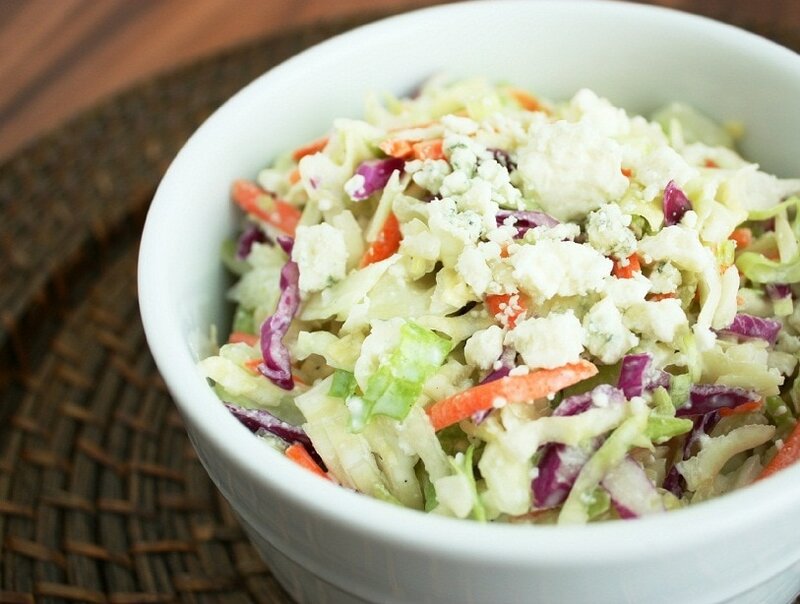 Our favorite way to make coleslaw, the tangy blue cheese just takes it over the top! Pour coleslaw mix into a large mixing bowl, set aside. In a small mixing bowl whisk together mayonnaise, milk, apple cider vinegar, lemon juice, sugar, onion powder, garlic powder, salt and pepper. 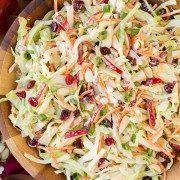 Pour mixture over coleslaw mix and toss to evenly coat. Fold in crumbled blue cheese. Refrigerate coleslaw for 30 minutes, stir once more before serving. Kelly: Do you think almond milk would substitute for the regular milk?